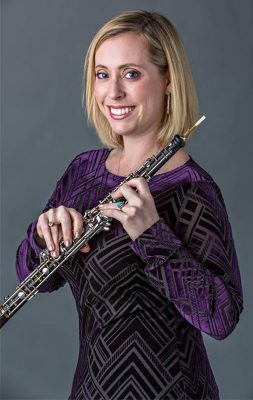 GCU adjunct clarinet professor Tim Haas will duet with five fellow instructors in the Music Department and one alumna for Tuesday’s recital. 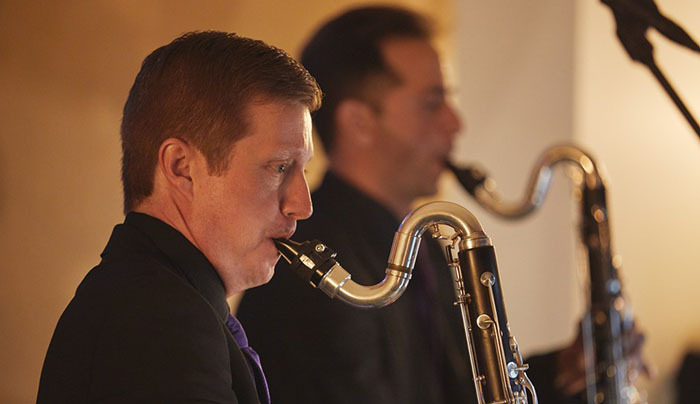 Grand Canyon University adjunct clarinet professor Tim Haas wouldn’t have it any other way and will be enhancing the musical potential of the instrument for his faculty recital, “Duets,” at 7:30 p.m. Tuesday in the GCU Recording Studio. “It’s going to be a real fun, exciting concert with a lot of variety and some very unusual duets, too. You don’t see very many clarinet-tuba duets,” Haas said with smile. Nor is it often an audience will hear a clarinet paired with a guitar, English horn or alto saxophone. Haas, who took GCU’s Clarinet Studio to Andre House to perform Christmas music for the homeless population recently, this time around wanted to put the spotlight on the University’s faculty. It will be a good opportunity, he said, for students to see the skill level of their professors and just how talented they are. Haas said the idea behind a concert of duets stems back to when he and Bock read a piece about a year and a half ago but never got around to performing it together. 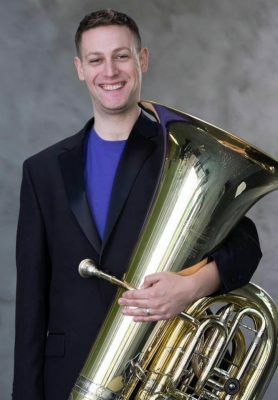 “I kept it in the back of my mind because Kevin is just an incredible tuba player,” Haas said. But the stars aligned and Haas found an open date in the studio’s calendar that worked with everyone’s schedule. 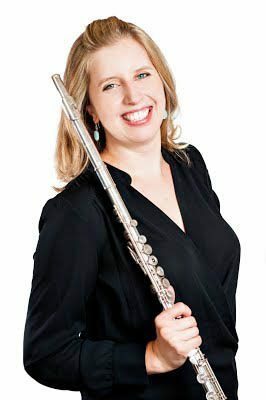 The first piece to be performed will be Robert Muczynski’s “Duos for Flute and Clarinet,” which Haas has performed many times. “Jenna and I have never really done a duet before, and I’ve always wanted to do a piece with her,” Haas said. 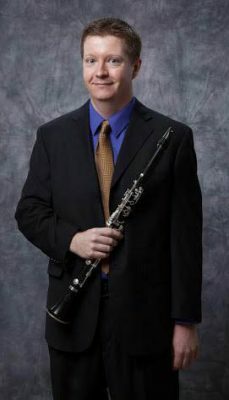 Along with Haas, “Hot Spots” will feature Messing, GCU’s oboe instructor, on the English horn. “Little Suite for Winter,” the duet with Bock, is a 1981 work by composer Peter Schickele, who created the musical score for the film version of “Where the Wild Things Are,” arranged one of the musical segments for Disney film “Fantasia 2000,” wrote the music for the movie “Silent Running” and has written more than 100 compositions. 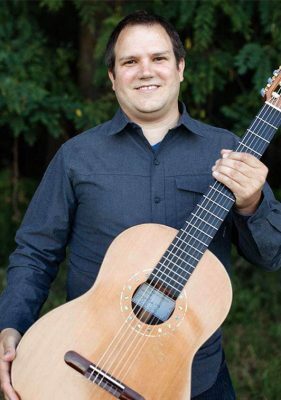 Guitarist Crissman will join Haas for “Night Dance For Clarinet and Guitar” by Jonathan Russell. 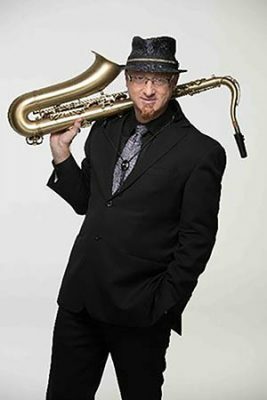 The final work on the recital repertoire will be Gregory Wanamaker’s “Duo Sonata for Clarinet and Alto Saxophone,” to be performed with Zimmer. 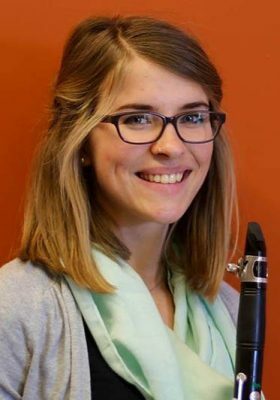 Haas’ “Duets” recital with fellow faculty members isn’t the only thing on the schedule for the Music Department, which will host the All-Regional Honor Band Audition Workshop the day before. High school honor bands audition for regional honor band at the end of January, and GCU is making its faculty available to help students get ready for the event. “We do a workshop every year where the kids get a chance to work with all the faculty. And they get a chance to do a practice audition exactly the way they have to do it (at regionals), which is really beneficial. … We’re really trying to do a lot more outreach,” Haas said.